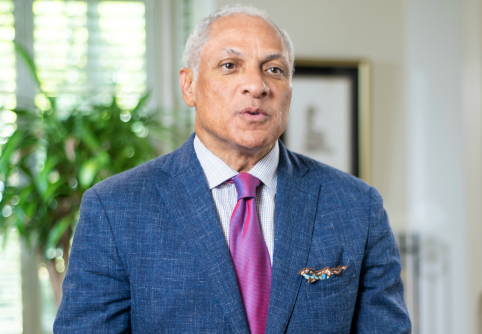 One of the nation's largest pro-life organizations is launching a campaign targeting Mike Espy, the Democratic Party's nominee for U.S. Senate in Mississippi, for his long-standing pro-choice record. Susan B. Anthony List, a pro-life group composed of 700,000 advocates from every corner of the country, is set to launch a five-figure digital campaign on Tuesday highlighting stances Espy took favoring unmitigated abortion while serving in Congress. "Mike Espy is too extreme for Mississippi," the ad's narrator states. "As a congressman, he co-sponsored an extreme bill that would overturn all state laws that protect unborn children and would even allow for painful late-term abortions. Mike Espy is just too extreme on abortion." The launch comes as Espy and incumbent Republican senator Cindy Hyde-Smith are vying for the opportunity to fill out the remainder of former Republican senator Thad Cochran's term, which is scheduled to end in 2020. Hyde-Smith, who was appointed to the seat upon Cochran's resignation in March, ranked first in the Nov. 6 special election, with Espy close behind. Since neither Espy nor Hyde-Smith cleared the 50 percent threshold required for outright victory, both candidates advanced to a run-off to be held on Nov. 27. The ad, which serves both as an endorsement of Hyde-Smith and a rebuke of Espy, is aimed at turning out un-reliable pro-life voters that might not be aware of the race, especially as it bookends the Thanksgiving holiday. Espy, a former Clinton-era cabinet official who resigned over accusations of ethical and financial impropriety, has avoided nearly all discussion of abortion on the campaign trail, choosing instead to focus on more bipartisan topics, such as healthcare and workforce development. Although Espy has been hesitant to discuss abortion his campaign has received the endorsement of the Joint Action Committee for Political Affairs, a pro-Israel group strongly aligned with the pro-choice movement. Since the Nov. 6 special election, the group has donated $2,500 to Espy's campaign, according to disclosure forms filed with the Federal Elections Commission. Espy's campaign did not return requests for clarification regarding his position on abortion. Former congresswoman Marilyn Musgrave, who serves as SBA List’s Vice President of Government Affairs, told the Washington Free Beacon that Hyde-Smith exemplified the "pro-life, pro-woman leadership" her organization "exists to promote." "Cindy is proud of her 100 percent pro-life record and has worked diligently in the Senate to advance protections for unborn children and their mothers, including legislation to stop taxpayer funding of the abortion industry and to protect babies born alive in failed abortions," Musgrave said. "We are pleased to endorse Sen. Hyde-Smith and urge the pro-life voters of Mississippi to support her in the runoff election so she can continue this crucial work in Washington." SBA List appears to be utilizing the same tactics that proved successful in ousting Indiana senator Joe Donnelly and other red-state Democrats this election cycle. The group, which invested heavily in its field operation, had 1,100 canvassers on the ground engaging with more than 2.7 million voters. Its message is likely to find a receptive audience in deeply conservative Mississippi, where 59 percent of adults believe abortion should be illegal in "all" or "most" cases, according to data compiled by the Pew Research Center in 2014. Despite running a low-key campaign, Espy has been unable to steer clear of controversy. In recent days, his attempt to ding Hyde-Smith—the first woman to ever represent Mississippi in Congress—for her positions on health care and pay equity by claiming he would be a be a better voice for women, if elected, proved to be particularly troublesome. This entry was posted in Politics and tagged 2018 Election, Abortion, Mike Espy, Mississippi, Senate. Bookmark the permalink.